I'm back! I explained in a post a couple of weeks ago why I had been gone so long, but the leg is definitely on the mend and I don't go back to school for another month. I'm so excited to get back to blogging! I've spent the past couple weeks trying out recipe ideas and I have some new ideas that I want to implement. I'm working on getting some social media sites up for the blog, so look for those in the next couple weeks! This recipe is absolutely delicious. I love being able to get fresh berries this time of year. I would recommend that this recipe be eaten the same day it is made, as I found it it doesn't taste that great the next day. 1. In a medium saucepan, combine blueberries and honey; using a spatula to mash the berries, heat over medium heat until the berries soften and the mixture thickens, about 8-10 minutes. Add in lemon zest and juice. 2. Remove from heat and let cool to room temperature, then transfer to the fridge to cool completely. 3. While the blueberry mixture cools, stir together the Cool Whip and Greek yogurt. 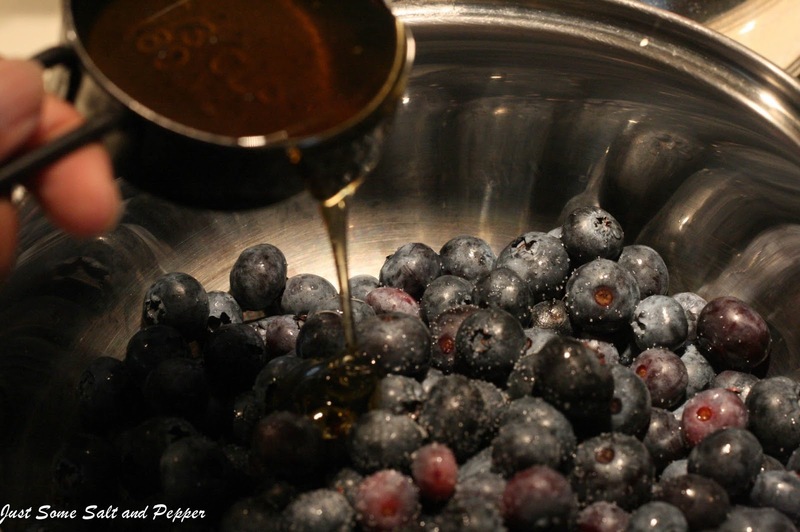 Combine with blueberry mixture. I want to face dive into that fool! Looks luscious. Oh this looks so very good! What a great way to satisfy my sweet tooth! I love light summery desserts like this - it looks yummy! Yummy in my tummy! Love blueberries. Thanks for stoping by Granny's. 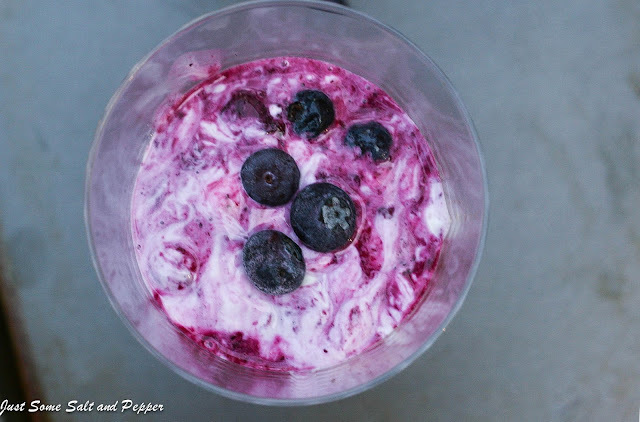 Mmm, I just adore the blueberries in this! !